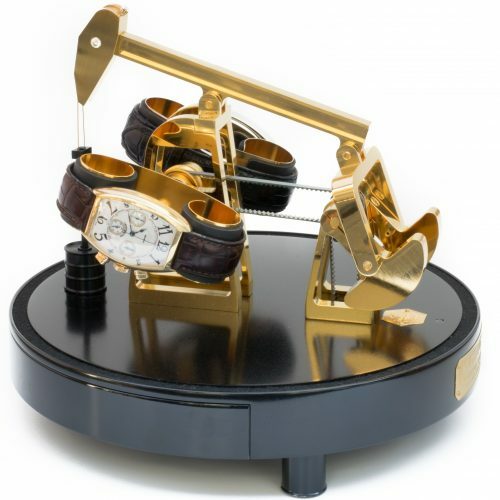 Inspired by the Greek god of time, this single watch winder honors the nature of the passing seconds. 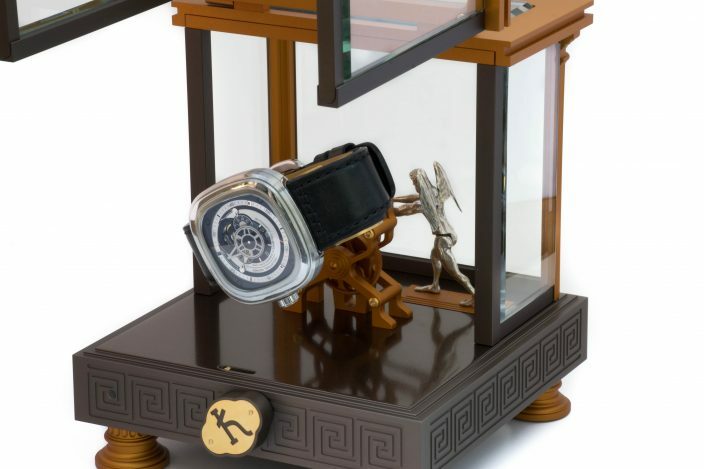 With a magnifying glass to enhance the watch face, Chronos is ideal for skeleton watches where every detail and movement of the watch mechanism is on display. 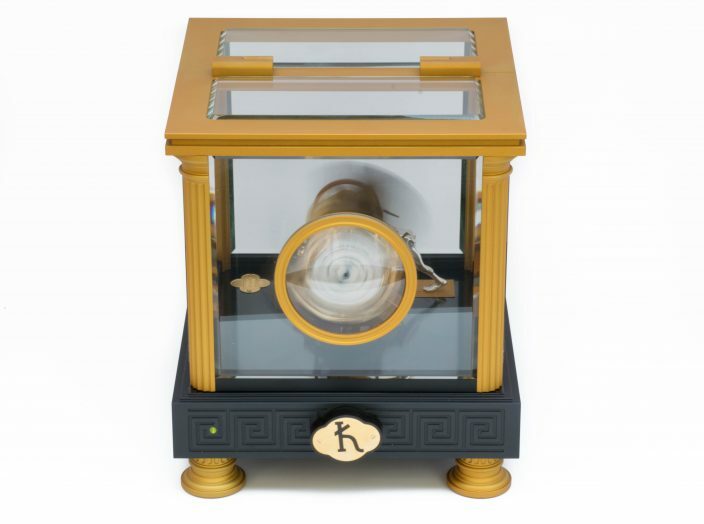 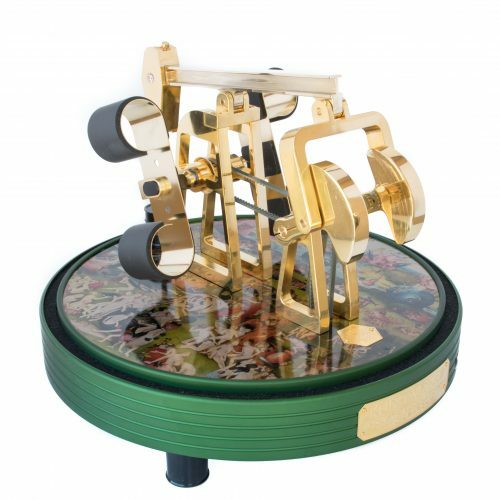 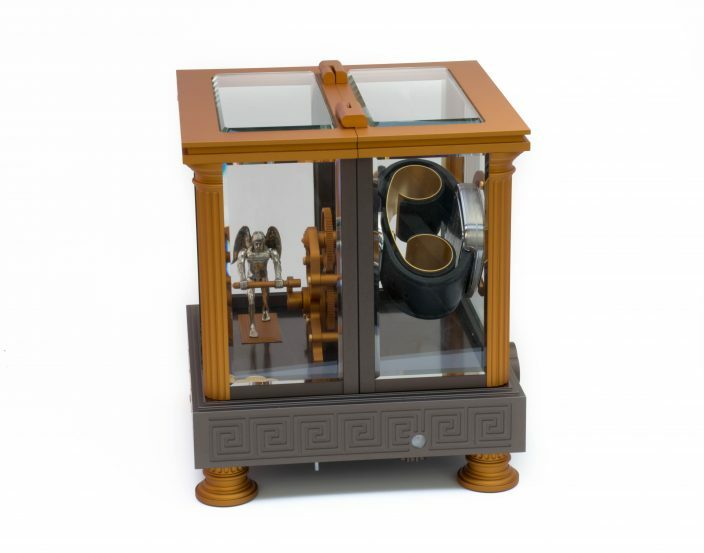 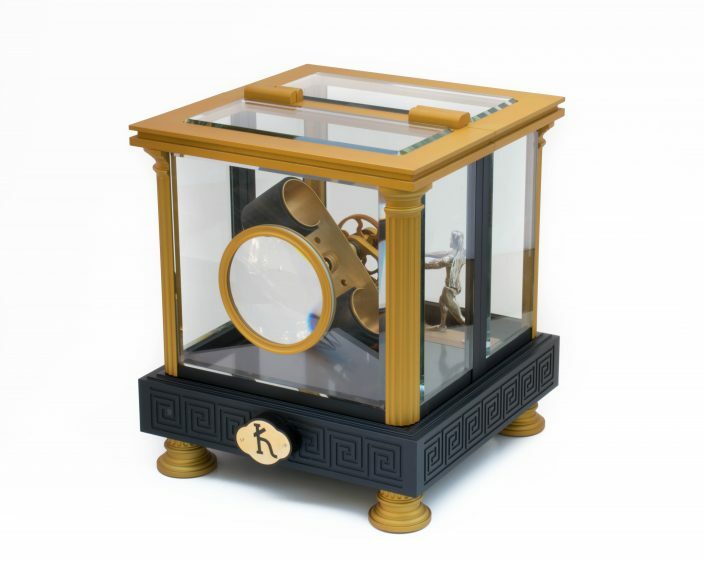 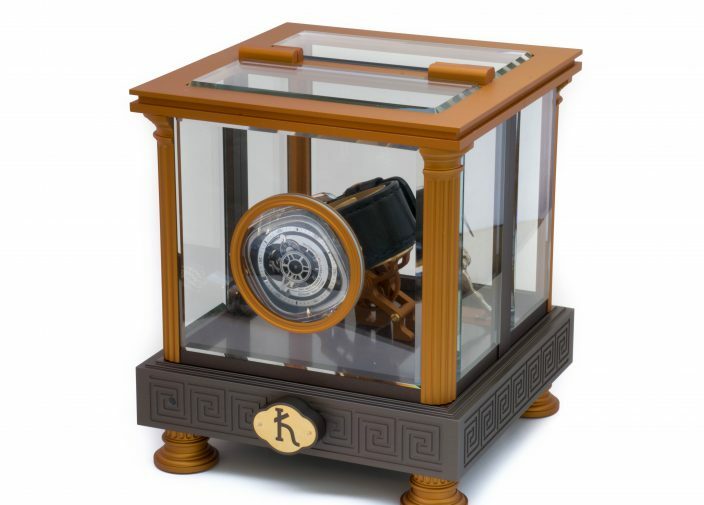 This Greek-inspired watch winder features the option to change the direction of watch rotation and is surrounded by beveled glass on all five sides. The Chronos figurine is cast in solid silver and the construction is all-aluminum. 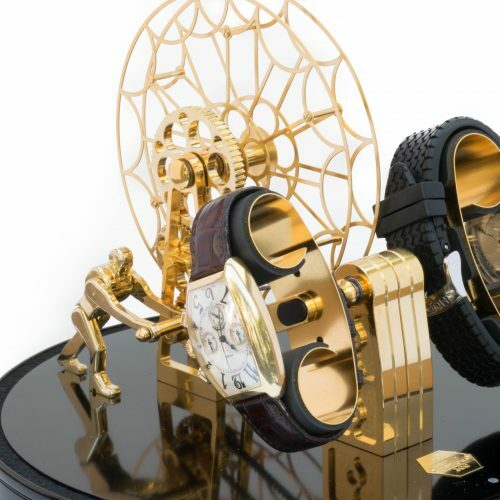 Available in both gold and bronze. 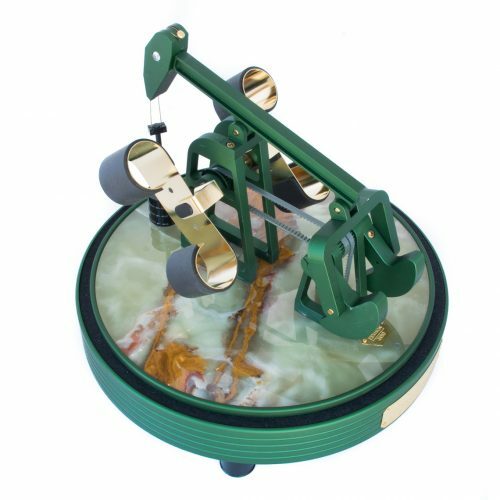 Single or alternating direction rotation with protective rubber-lined mounting springs adjust to accommodate any size watchband.